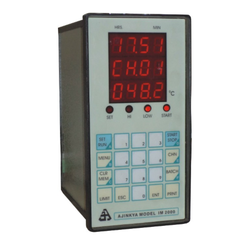 We design, manufacture and export Data Logger Repeater Unit that are panel mount DIN size units. At times readings on the logger unit cannot be seen at remote places where PC is not available. Our range of Data Logger Repeater Unit duplicates the readings on logger at a remote place. Looking for Accessories for Data Loggers ?